Scott Wilson is an American who settled in Kunming China and founded the tea export company Yunnan Sourcing. He spends his days working on the floor of one of the largest Pu-erh trading centers of the world. How did you come to love tea? It all started with Yunnan. I traveled for about 5 months in Yunnan province in 1998-1999. At that time I started to drink Pu-erh and other Yunnan teas. I had this idea that I would try and introduce it people in the USA. 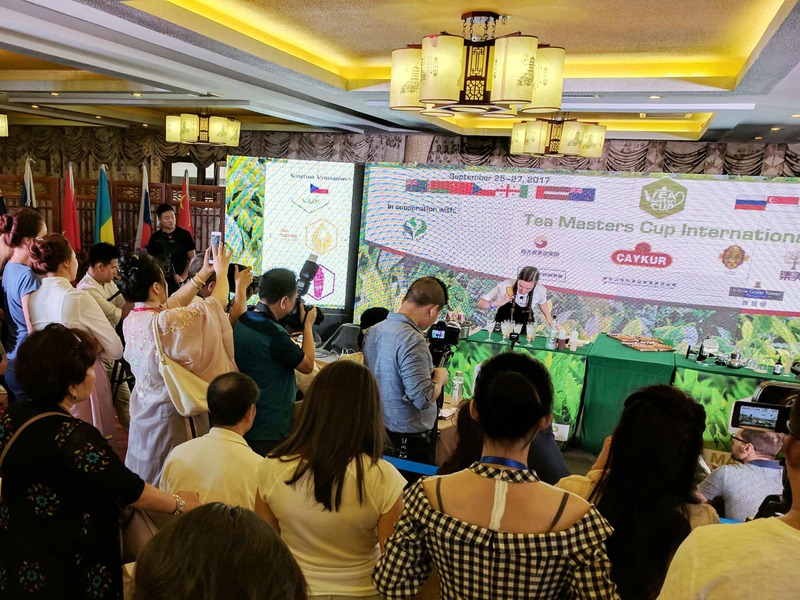 I purchased and shipped back more than 80 kilograms of Pu-erh tea at that time thinking that I would use it for samples and to generally get people’s attention. I ended up staying in Asia for another 2 years (Sumatra) and when I went back I got distracted by other things and ended up drinking the tea amongst myself and few friends. What brought you to China, and how were you able to settle in Yunnan and position yourself as a major player in the overseas Pu-erh market? Since I was kid I had an affinity with China. In the 80’s my family went to Hong Kong almost yearly. When I was 10 I started studying Chinese martial arts and watching Kung Fu flicks. I entered the Chinese History program at the University of California and right after graduating headed to China (1996) for about 4 months study. Like I said, I came to Yunnan in 1998 and just fell in love with the place, especially the tea and the food. In 2004, I got fed up with being in the states and decided to pursue my dream of living in China and doing something with tea. Its been an incredible learning experience and I could not have come so far along this path without all the support of my customers and their feedback. What do you do on any given day? Do you spend each day at Kunming Tea Market? We have a tea room in the Kunming Wholesale tea market. It is a place solely to drink tea. We have a library of more than 600 pu-erhs that are available to try! Our eBay store is our only online presence at the moment. Most business is conducted outside of eBay. In fact, individual customers with small orders can contact me directly and get at least 10% (or more) off the retail price. We will open yunnansourcing.com and yunnansourcing.us before the end of 2009. The latter site will feature products that will ship from the USA instead of China, this will be convenient for customers in the USA and Canada who can take advantage of fast and cheap shipping! What is your favorite tea at this time? 2009 Yunnan Sourcing “You Le Zhi Chun” Raw Pu-erh tea Click here to purchase it and see more photos. Some information about this tea: You Le Zhi Chun ( aka “Spring of You Le”) is the second tea cake created under the new Yunnan Sourcing / Rui Cao Xiang label. This label is a co-project between Yunnan Sourcing “Yun Zhi Yuan” and our Korean counter-part “Rui Cao Xiang.” During our extensive travels and mao cha tastings in Banna during the Spring of 2009 we came across this exquisite first flush mao cha. It is entirely first flush of spring 2009 mao cha from 100-200 year old trees on You Le Mountain in Xi Shuang Banna. You Le Mountain (aka Ji Nuo mountain) is situated east of Jing Hong city about halfway between Jing Hong and Yi Wu. The tea was picked and processed entirely by hand by the growers themselves in the the village of Long Pa. The tea is tippy and healthy and is covered with downy silver fur. The raw material is almost entirely intact leaf and bud sets and so stone-compression was used to preserve the natural beauty of this tea. The brew itself is full and round. The very characteristic You Le taste is present, fragrant with some floral notes… sweet and full in the mouth but with a vegetal bitterness present. An excellent single-estate Long Pa tea! Just 100 kilograms produced in total! * Yunnan Sourcing does a custom branded beeng cha (tea cake) every year. The title image were submissions from 2014, the year of the horse. A wonderful review about a fantastic company and mission! Ordered to Finland from their website. Products were carefully packed and in excelent condition. Samples were nice and pu-erh cake excelent. Nice to have online shop with superb selection of teas and good price. Where did you buy it? Thanks! i have over a decade of tea manufactuting(black tea) experience in assam(India)Pl tell me more about yourself. We live in western Canada and it is not easy to get decent Puer locally until I stumble across Scott’s website (www.yunnansourcing.com) which is now my primary source of Puer for daily consumption as well as collection for aging. I have dealt with Scoot many times and very pleased with his product, price and service. Kudos! I’ve done business with Yunnansourcing a few times without knowing the background of the company or the man behind it. It’s an excellent source for pu-erh teas, and the prices are far more reasonable than most other sources. I’m happy to read this interview! My wife and I live in North Carolina and have enjoyed Scott’s Pu-erh many times. In fact, as I read this I am sipping a 2005 Haiwan ripe Pu-erh. We have always been impressed with Scott and his products and wish him every blessing on his journey! As an american living in Lao (poor tea choices)I have done business with Scott at Yunnan Sourcing and believe that he is one of the better on-line sources of tea and related items.